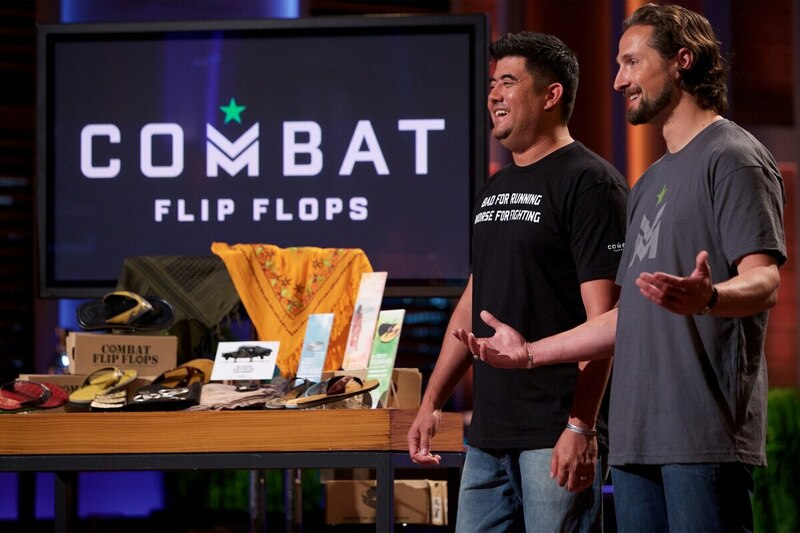 The Ranger buddy entrepreneurs at Combat Flip Flops will be among the veteran- and military spouse-owned startups swimming with the sharks in an upcoming episode of ABC's "Shark Tank," set to air Feb. 5. "We're stoked to bring the Combat Flip Flops mission to the tank," says Matthew "Griff" Griffin, CEO and co-founder of the casual footwear and accessories brand that not only helps revitalize war-torn regions by employing locals to manufacture its gear, but also returns a portion of profits back to downrange locations. "We've all seen and heard 'Shark Tank' success stories," says Donald Lee, Combat Flip Flops' chief marketing officer and co-founder. "We hope this is the catalyst our company needs to provide large-scale, peaceful, sustainable change in areas of conflict." Lisa Bradley and Cameron Cruse, two Army spouses in Murfreesboro, Tennessee, who built R. Riveter, a handbag company using upcycled military surplus and piecework from other military spouses. Angela Cody-Rouget, a former Air Force officer from Phoenix who looks to franchise her Major Mom personal organization business. Willie Blount, a Marine veteran from Columbia, Maryland, and his business partner, who will try to sell the Sharks on their BearTek ski and motorcycle gloves that allow you to wirelessly control your phone or GoPro. The episode will also check in with "Shark Tank" veteran — and Air Force vet — Kristina Guerrero of La Pine, Oregon. She's the owner of Turbopup, the canine meal bars that Daymond John invested in last season.